The service crew is responsible for many of the day to day tasks that keep the power system running to your home or business. Tree-trimming to eliminate power line obstruction. Installation and maintenance of security lights. 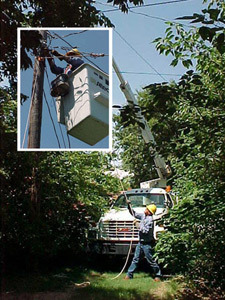 The Service Crews are the first line of response when outages and other problems occur.